Face off between Yi Chen and Ying Hui. Who will win?! Treasure decides to do an editorial on Ying Hui, so Yi Jing and Yuan Feng go to INSO for the interview. However, Ying Hui is not interested in them and totally does not give them a chance. He directly points out the fact that he accepted this interview because of Mo Sheng and that he is her fans, so much so that he even wanted to work with her back in the States. So, faced with no choice, Mo Sheng arrives at INSO. Ying Hui is all like oh you are finally here! But dude, you are the one who told her not to contact you! What the heck man. BTW Linda must be super busy, you know, being Ying Hui’s assistant AND the company receptionist. What, they can’t hire one more person? Bleh. Anyway, Ying Hui tells Mo Sheng that he might need her help again in the future. She wonders what and he tells her she made him realize what he should seek after and that’s why he is back. He totally remind me of Big Cheese in Mr. Right Wanted. Ying Hui continues to say his dream is to just be with his family, but he isn’t able to have even that. He states his real purpose for coming back is not for business, but to find his love. A surprised Mo Sheng quickly informs him that his ex-girlfriend is already married. He wonders out loud why that matters. She is shocked to hear this and asks him if he plans on destroying someone’s marriage. He explains that if his love is happy, he will leave them alone, but he won’t because he knows he can give her even greater happiness. Eye roll please. Ying Hui then changes the topic and asks her about recent happenings. She tells him she got married and he wishes her a wonderful marriage. Is he implying with him? Or with Yi Chen? Confuddled. Yi Chen finds out INSO’s case deals with invasion of privacy, so the bros decide to drop it. They meet with Linda to tell her their decision and Linda requests to speak with Yi Chen separately. She makes up a lie (instructed by Ying Hui) that Ying Hui and Mo Sheng adopted a son in the States. However, after a fight about the son Mo Sheng packed up and left, so Ying Hui followed over. She continues on to say that the adopted son really misses Mo Sheng and wishes “mom” would come back soon. But Yi Chen is no idiot as he picks up on the speed of her speech and points out she is, in fact, lying. Oh man, that’s messed up. Don’t even drag Xiao Jia’s situation into this. That’s just cheap and dirty. 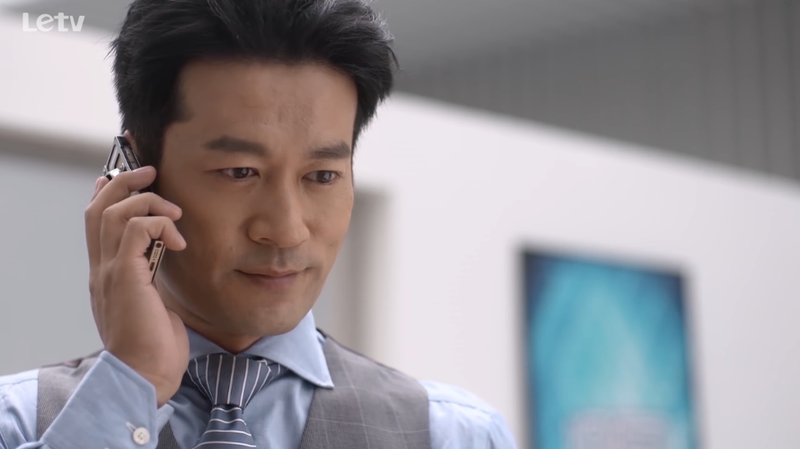 Right after Linda leaves, Ying Hui calls and asks if Yi Chen rejected the case because of his past with Mo Sheng. 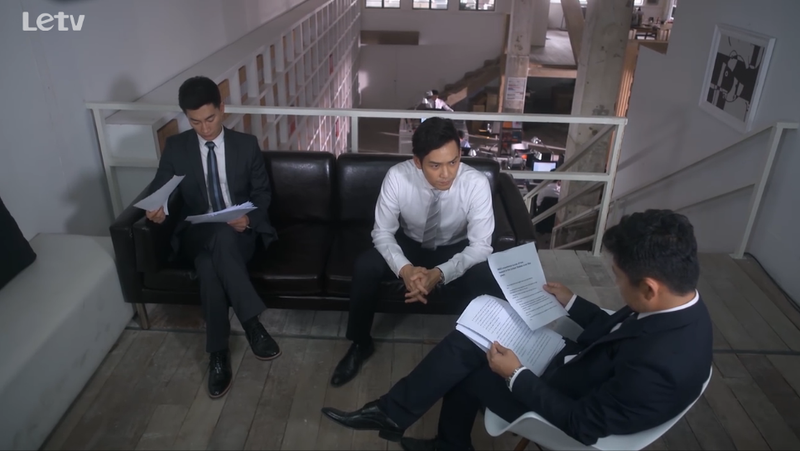 Yi Chen replies that he is a professional and would not do something that affects the benefit of the entire firm. He also reminds Ying Hui that Mo Sheng is now married to him. Ying Hui then retorts that Yi Chen was also once history too. At the math major reunion dinner everyone gossips about whether Ying Hui’s ex-girlfriend regrets dumping him or not. Ying Hui finally arrives and not soon after Linda comes by to call him away. The ex-girlfriend excuses herself too soon after and finds Ying Hui actually waiting for her outside. Apparently he did this on purpose to see how she will react. He says she is very good at this sad facial expression as if someone just dumped her because she also looked like this when she left him. Ying Hui comments that they are no longer young and they should seek what they really want. The ex-girlfriend tells him she is proud of his success and she is happy for him. Then a really weird conversation occurs. After the ex leaves, Ying Hui tells Linda that the ex’s acting skills are still as bad as before, but how could he have not seen through before? I’m so confused. What did he mean by they should seek what they really want? He clearly doesn’t want to get back with his ex, but his words are sure as heck confusing. 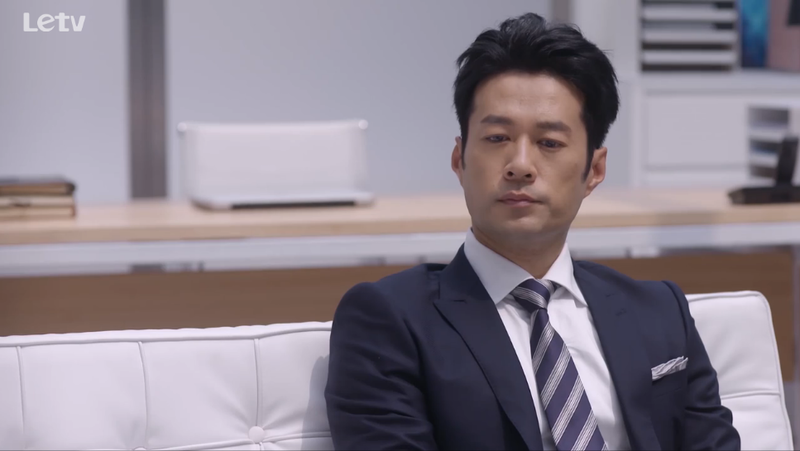 Ying Hui offers Mo Sheng a ride back to her office, but she refuses. Yes. Refuse! Yuan Feng brings some fresh fruit he brought back from the countryside for Yi Mei. Yi Mei asks why he had time to go to the countryside, and he lets the cat out of the bag about the whole Ying Hui/Mo Sheng situation. Some lady comes by looking for Yi Chen to be her lawyer, but when Lawyer Yuan tells her Yi Chen got married, she decides to hire Xiang Heng instead. Lawyer Yuan is all like is she here to find a husband or a lawyer? Yi Mei and Yuan Feng get together with Yi Chen and Mo Sheng for a meal. Of course, Yi Mei is not completely innocent as she brings up Mo Sheng’s recent collaboration with Ying Hui. Yi Chen pretends not to know, but Yi Mei pushes the topic forward anyway.